Sony confirms UK launch date and prices for Google TV | What Hi-Fi? Google TV will make its official UK debut in July, Sony has confirmed. The company has also announced that its Google TV set-top-box, the NSZ-GS7, will cost £200. You can pre-order the NS-GS7 (above and below) now from the Sony UK website, with the unit shipping on July 16th and scheduled to hit the shops by the end of the month. 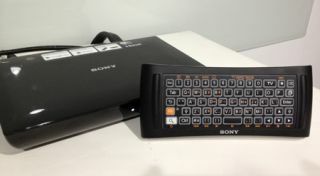 This will make Sony the first manufacturer to launch Google TV outside the US, starting with the UK in July, followed later by Canada, Australia, France, Germany, the Netherlands, Brazil and Mexico. "Expanding the reach and interoperability of the powerful Android platform with Sony's smartphones, tablets and audio/video products, we are proud to continue our relationship with Google through the introduction of the new Google TV internet player," says Gildas Pelliet, European head of marketing. "Entertainment content is available through so many channels and sites, and Google TV helps consumers easily find what they want to watch, listen to or play with the freedom of the internet and using the Chrome browser." With Google Play included in the device, viewers have access to a wide varoety of apps such as YouTube and Twitter, plus new TV-optimised apps being added all the time. Sony’s Google TV-toting Blu-ray player, the NSZ-GP9 (shown below), will cost £300 and will go on sale in the US this October, followed by Canada, Australia, the UK, France, Germany and the Netherlands. Both machines feature dual-core processors, web-browsing via Google Chrome, access to Google Play, Sony’s SEN (Sony Entertainment Network) and a made for TV version of Google-owned You Tube. Connectivity on both boxes includes twin HDMI sockets (one input and one output) wired ethernet and wi-fi. Further info can be found in our previous news story.